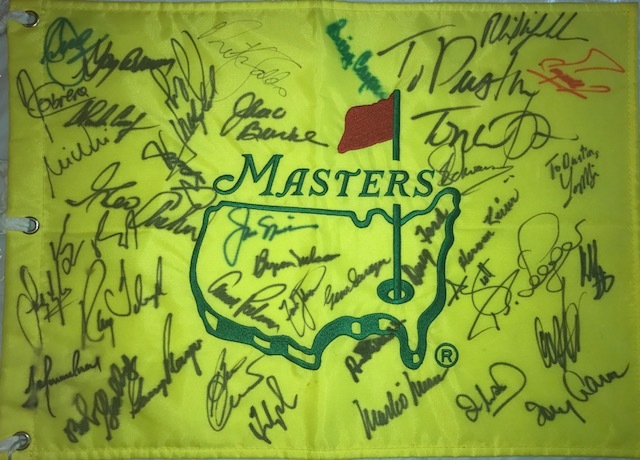 I attended the 2016 Masters for 5 days only missing monday Tuesday and friday. 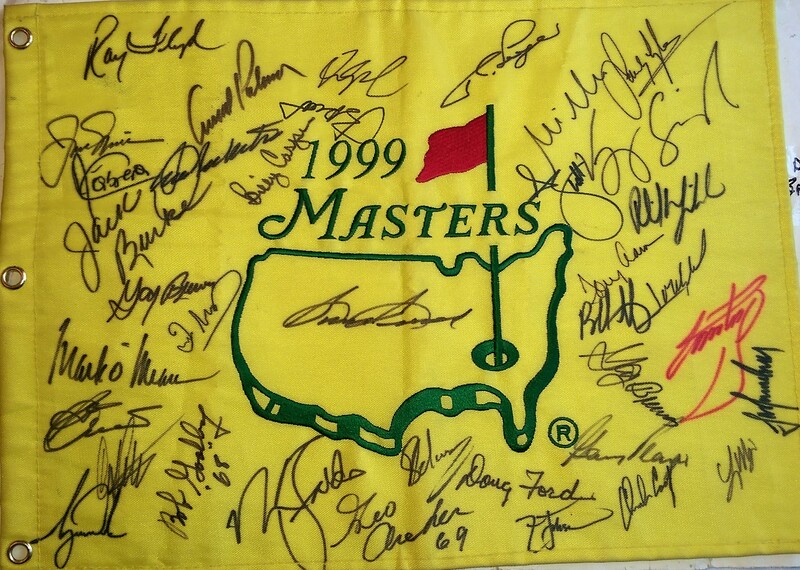 Each year it gets more difficult to get autographs at the Masters. 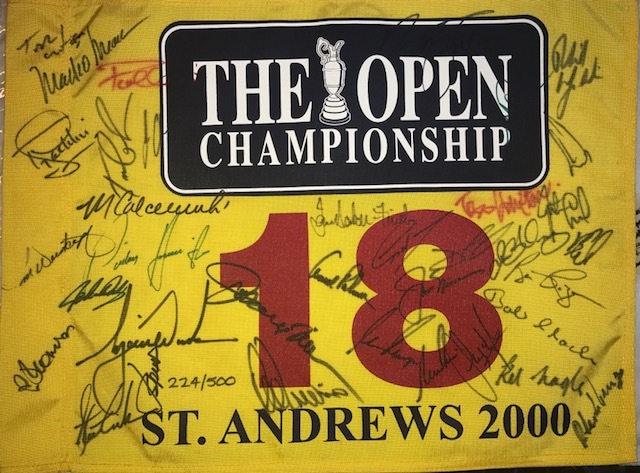 Several years ago you would go and get about 20 Champions autographs in one day. Now you are lucky to get 3-4 in a day. It is very difficult, and I can say I am glad I got what I have back in the early days. 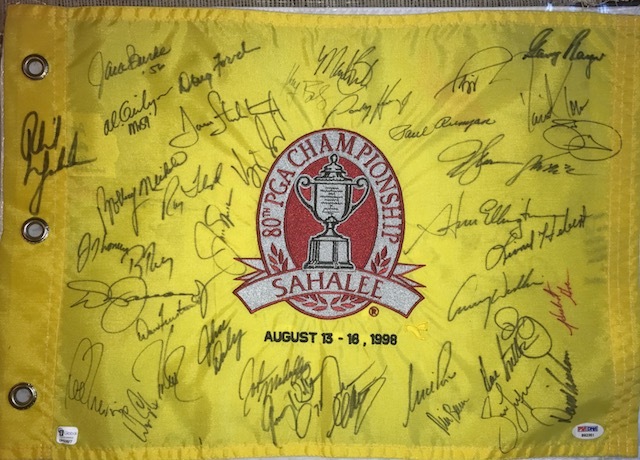 Mr. Nicklaus signed a fair amount of autographs and Mr. Palmer did not sign any that I saw. Mr. Palmer is very frail. 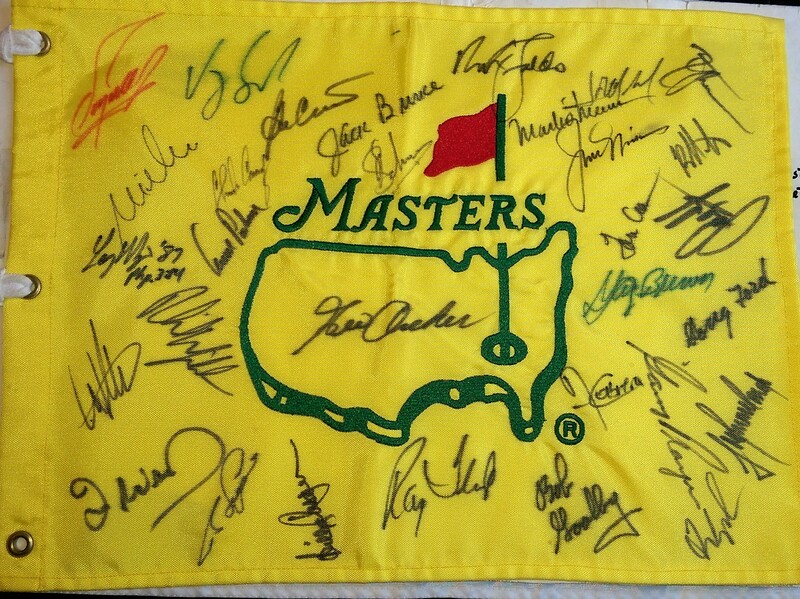 I was very lucky to get 3 Nicklaus autographs and I did not get Palmer. 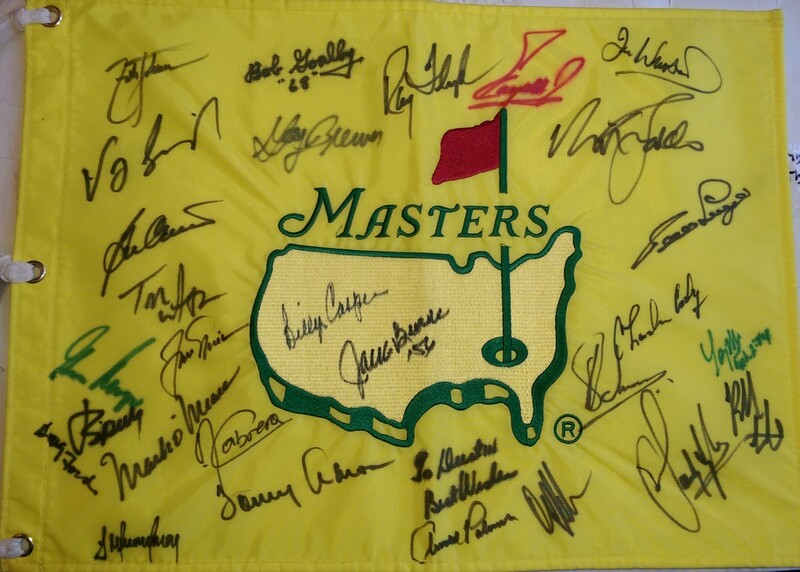 Masters Flag signed by 40 Champions Rare because it is signed by Gene Sarazen and several others who are deceased. 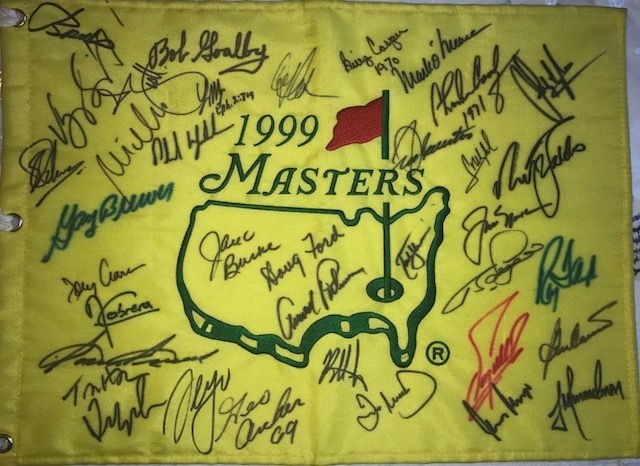 This is my original Masters Champions flag and I started it in 1998. Another 2 new starts. GOD HELP ME! 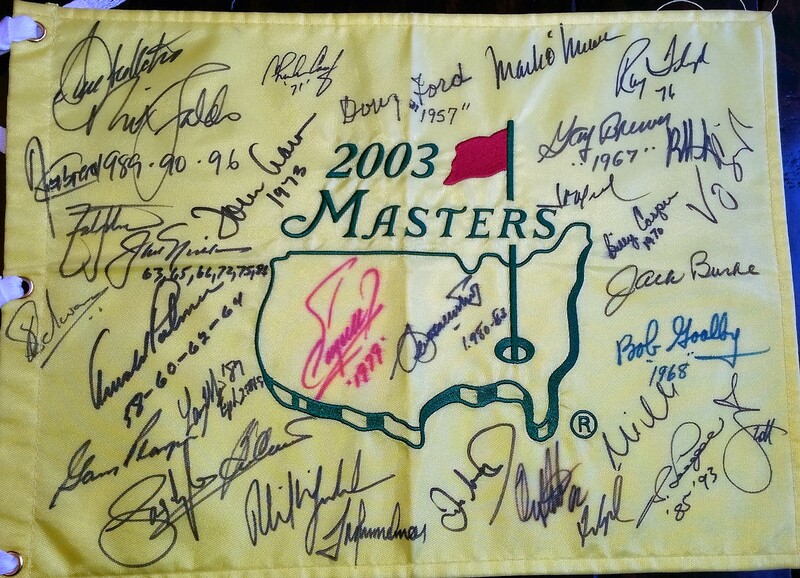 But this one is signed by MIZE and Watson. 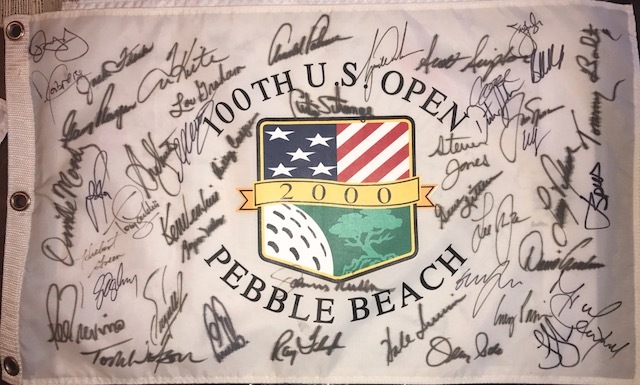 This flag was bought from someone connected with Mr. Watson. The Watson autograph may be a autopen? It is a little different pattern then the other autopen patterns I have seen, but it is almost too prefect of an autograph. 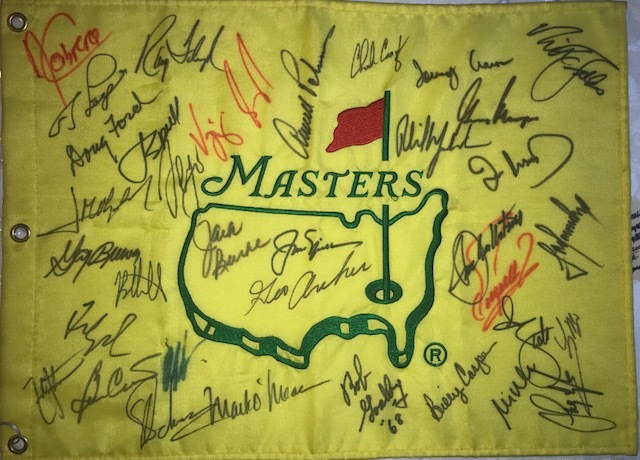 One this one I am going to see how many winners I can get to add they year(s) they won. 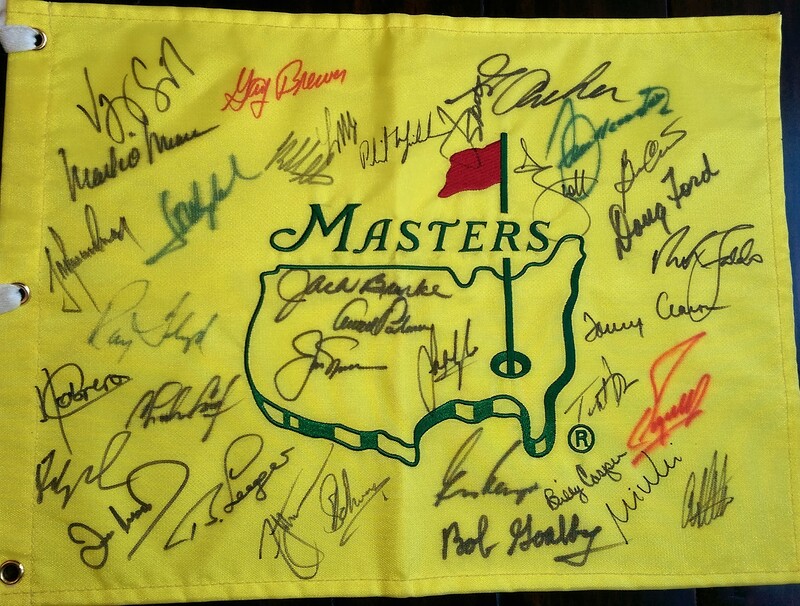 It was a very big success to have have both Nicklaus and Palmer add the years they won the Masters. 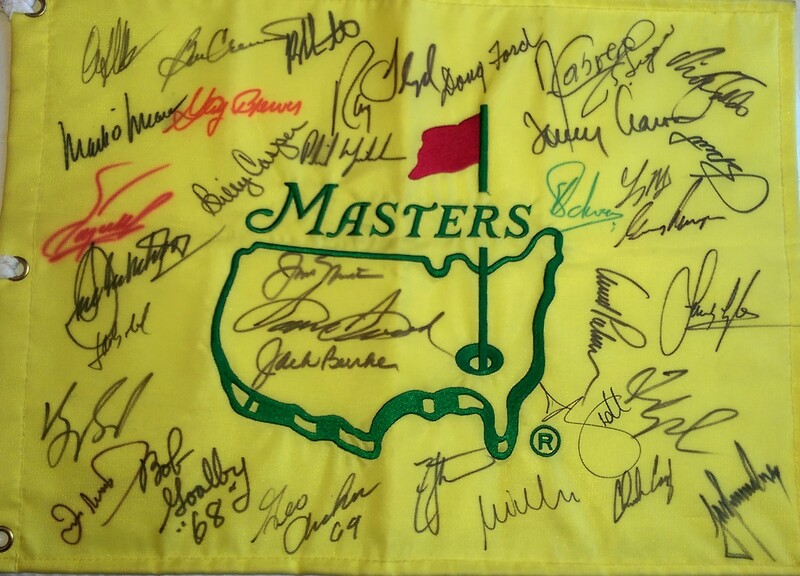 A very Nice Flag signed by 34 Champions and it is Signed by Watson and Tiger!! 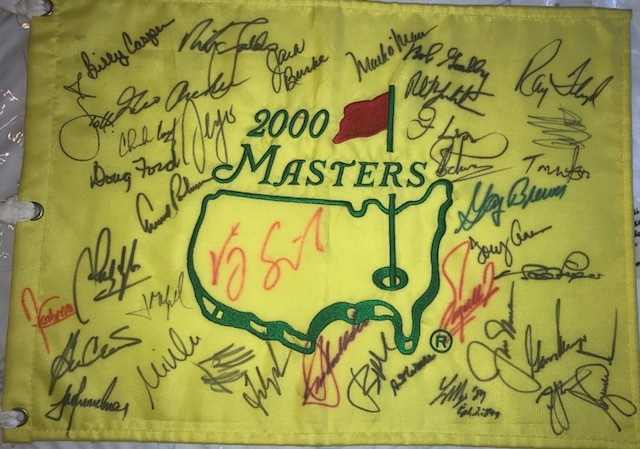 Tiger signed this at the 2010 Masters Saturday Round! New Start flag! 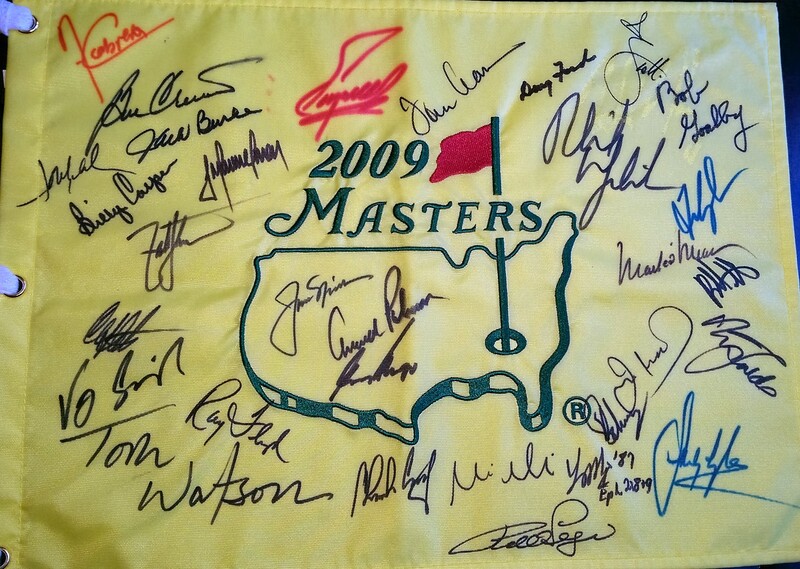 But already signed by the BIG 3 In the middle along with Waston!! 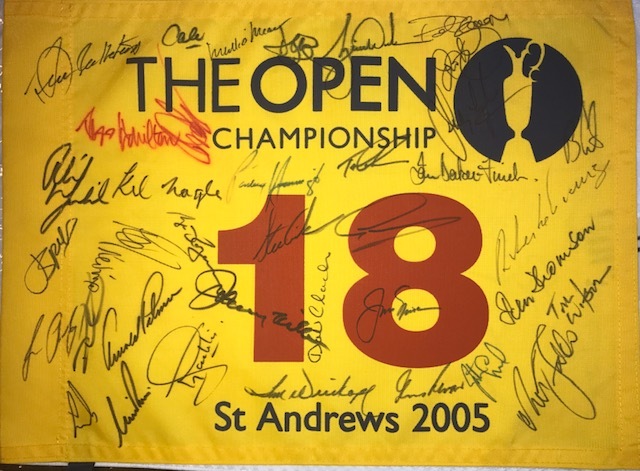 I gave up on trying to get Tiger Woods to sign any of my multis so I started a new British Open Winner flag with Tiger already on it. 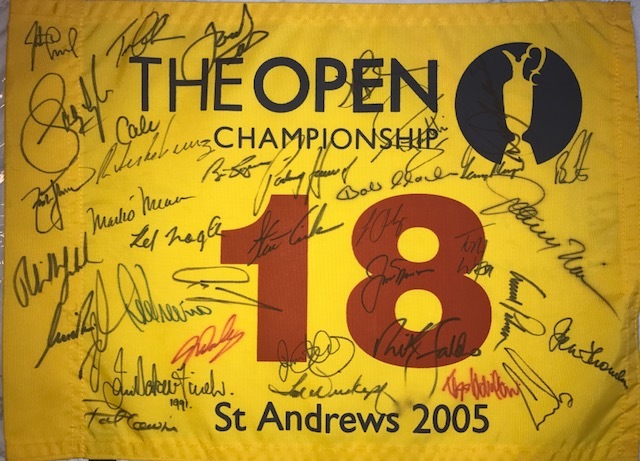 I was able to add Tom Watson and Phil Mickelson at the 2015 Open Championship. 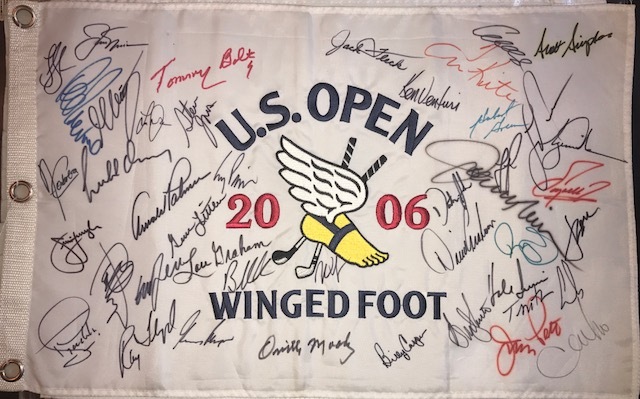 US Open winners flag with 44 Champions! 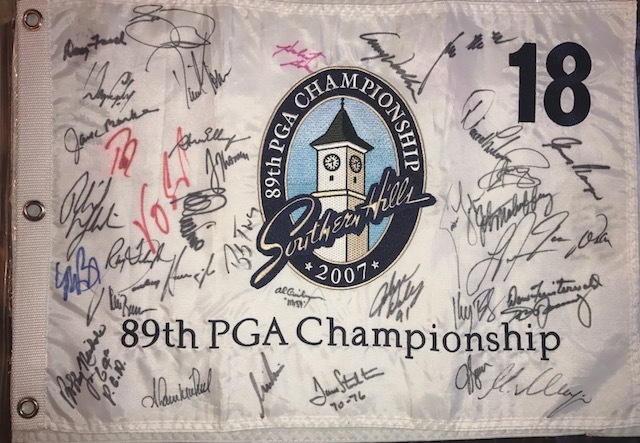 I started these flags in 2006 at the same time. 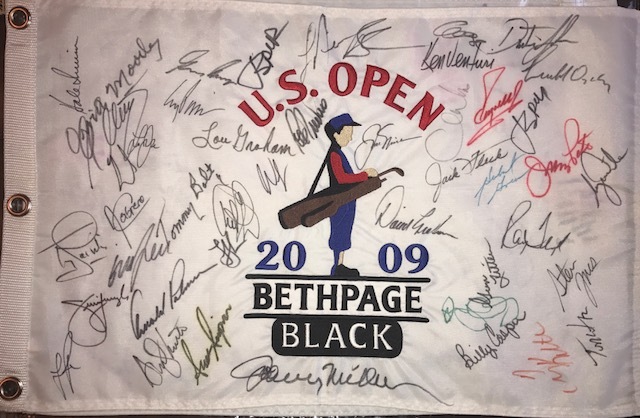 I was able to buy the 2009 Open flag early by calling the course directly. 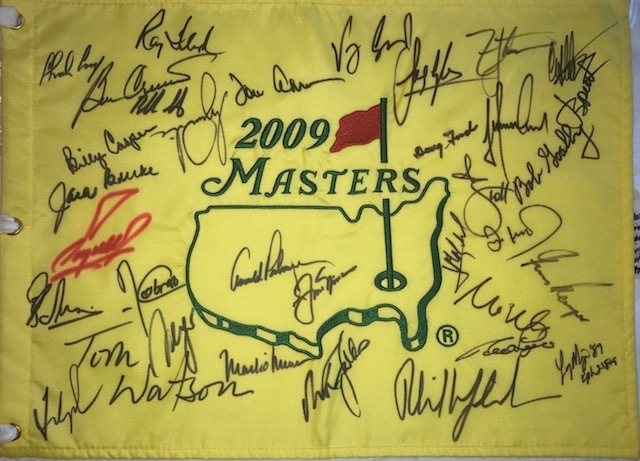 We were able to add Tom Watson at the 2012 Masters and Yesterday Sep 21st 2012 Tiger Woods signed both of the after his round at the tour Championship. 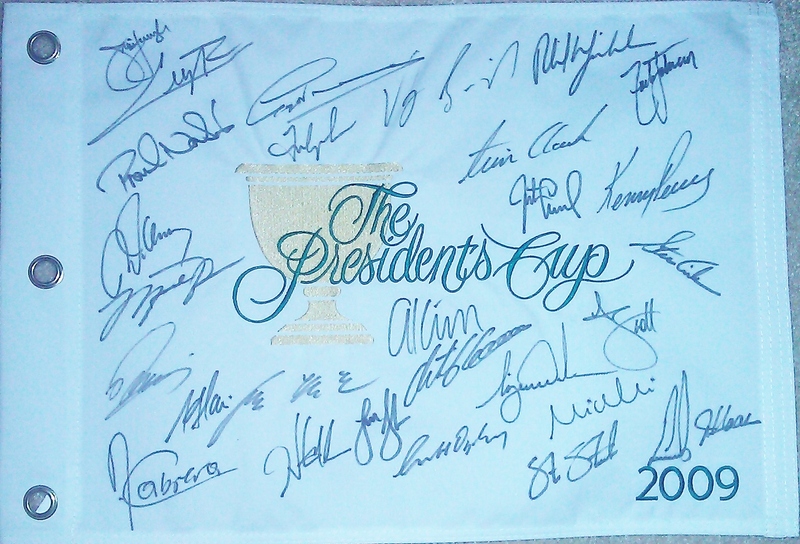 A President's Cup Flag signed by both teams. 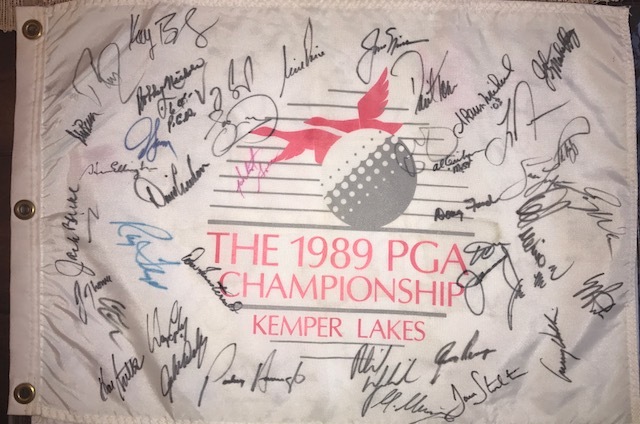 This was a sit down signed flag signed in the team room for Fred Couples. 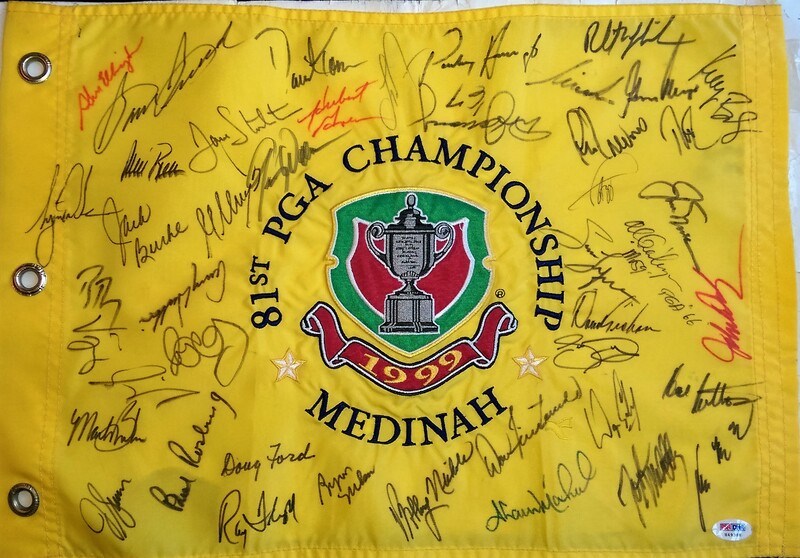 Cool to have Tiger Woods and Michael Jordan on the same item. Jordan was an assistant captain. 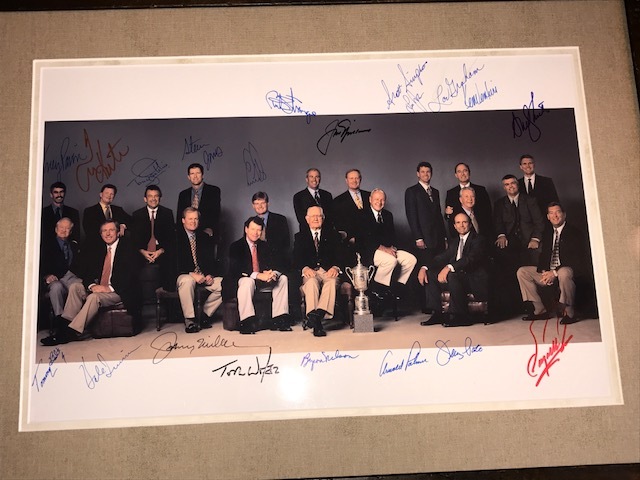 Multi signed images. Sorry for the poor images as they reflect a lot of light. 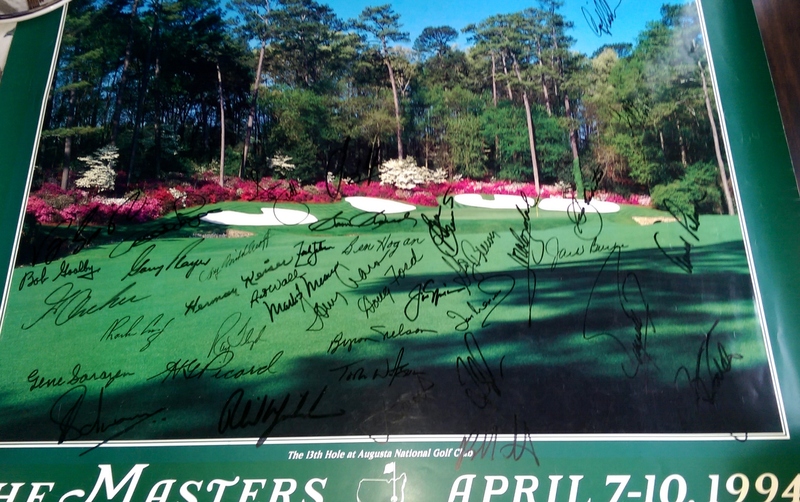 This is an incredible 1994 Masters Poster signed by Henry Picard, Ben Hogan, Cary Middlecoff, Herman Keiser, Snead Nelson Sarazen etc. 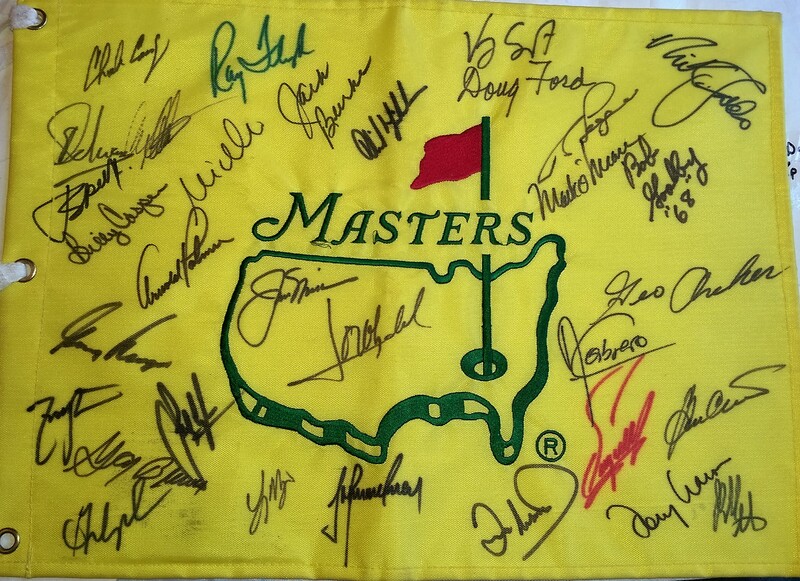 I need to only add around 2 more guys (Tiger Woods Danny Willett) and It would be signed by 44 Masters Champions. 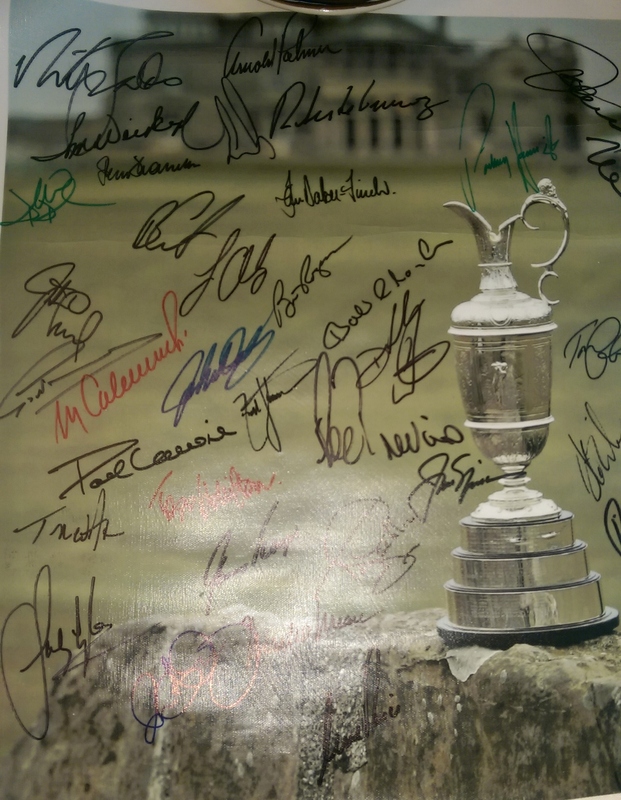 I was able to convince Tom Watson to sign it at the 2015 Open Championship. 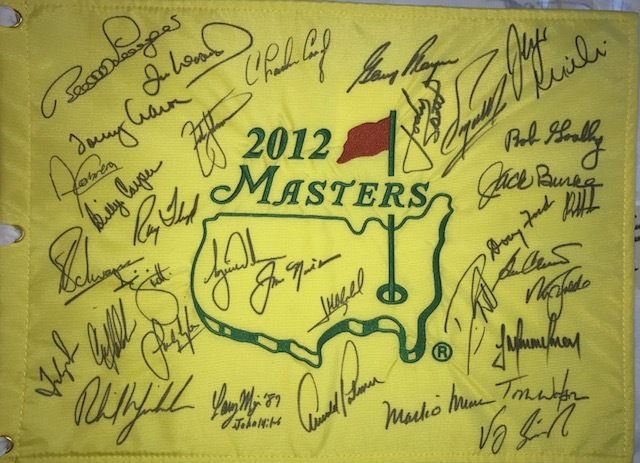 He said since Ben Hogan is on it he will sign it with a nice autograph in a good spot!